Double Jeopardy for a jury trial attaches as soon as a jury is impaneled and sworn in. Double Jeopardy for a bench trial attaches once the Court begins to hear evidence, after the first witness is sworn in, or as soon as a Court accepts a defendant’s guilty plea. Even though the Fifth Amendment initially only apply to the federal government, the United States Supreme Court has held that the Double Jeopardy Clause applies to the states through the 14th Amendment to the Constitution. Nonetheless, Section 10 of the Illinois Constitution codifies the Double Jeopardy clause in the Illinois Constitution. Section 10 of the Illinois Constitution states that “no person shall be twice put in Jeopardy for the same offense.” The main reason for Illinois including this language in the Illinois Constitution is to keep the prosecution from retrying a criminal defendant who was found not guilty even when evidence was uncovered later that proves that the defendant was guilty. As with many other areas of the criminal law, exceptions apply depending on the facts and circumstances of a particular case. For instance, what happens if a defendant is facing criminal charges in State Court and Federal Court? If a defendant is found not guilty in State Court does that bar a trial in Federal Court for the same charges? What happens if the mistrial is granted due to the mistake by the prosecution? What happens if a verdict is overturned on appeal? Can a retrial happen? 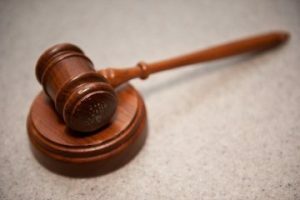 If you have any questions regarding whether the Double Jeopardy Clause applies to your case or whether you can be retried for the same offense, you need to talk to an experienced criminal defense lawyer who understands the law when it comes to the Double Jeopardy Clause and what happens after a jury verdict. James Dimeas is a nationally-recognized, award-winning, criminal defense lawyer. Recently, the American Society of Legal Advocates named James Dimeas a “Top 100 Criminal Defense Lawyer in the State of Illinois for the Year 2018.” James Dimeas has been named a “Best Criminal Defense Lawyer in Chicago” by Expertise and a “Best DUI Attorney.” The American Institute of Criminal Law Attorneys have named James Dimeas a “10 Best Attorney for Client Satisfaction.” The National Trial Lawyers have named James Dimeas a “Top 100 Criminal Defense Trial Lawyer.” AVVO rates James Dimeas as “Superb”, the highest rating possible for any criminal defense attorney in the United States. Fifth Amendment, Legal Information Institute. When Can the Police Search My Car, by James G. Dimeas, Chicago Criminal Lawyer Blog, February 21, 2018.